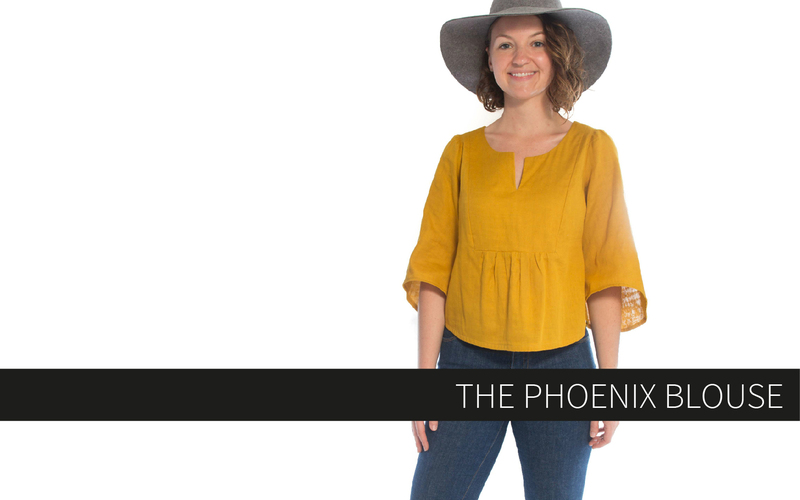 Introducing the Phoenix Blouse! 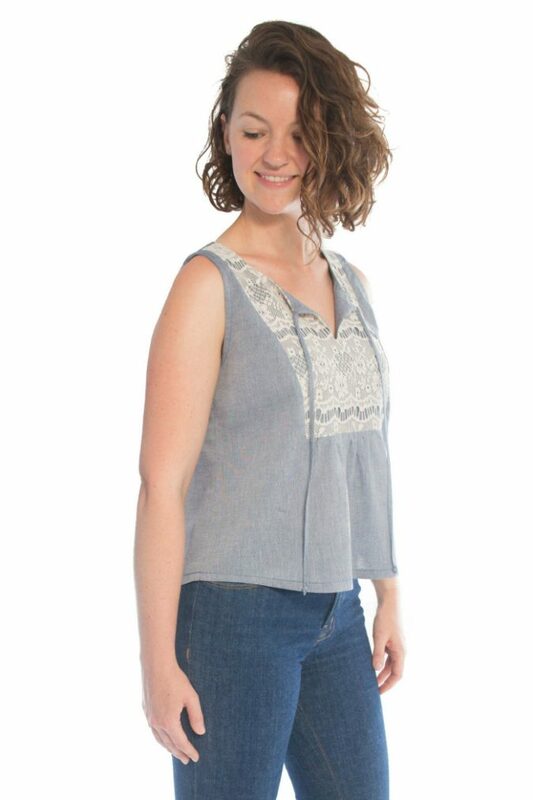 The Phoenix is a casual but cute boho style top perfect for year-round wear! View A features statement 3/4 bell sleeves that make a big impact but are extremely comfortable and easy to wear. Depending on the fabric used, these sleeves will retain their unique shape or drape beautifully. Either way is a winner! View B is a sleeveless style finished with bias tape. This view is incredibly versatile! 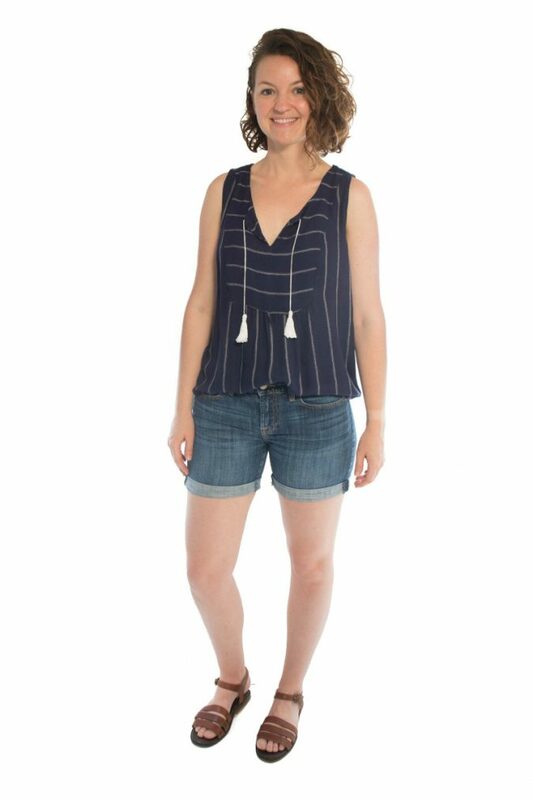 It can be thrown over jean shorts and paired with sandals or made with fancier fabrics perfect for an office-friendly outfit or suit shell. 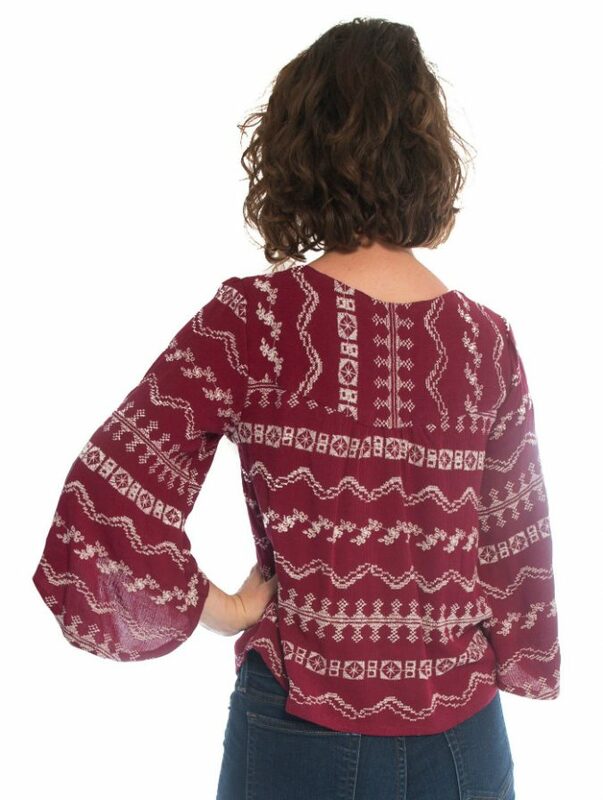 Both views have that signature boho style yoke and gathering on the front and back. The front yoke features a slit that will stay up or fall open depending on the fabric weight and drape. Optional ties can be inserted into the front opening for a great detail. You can get as creative as you want with the ties, using anything from self-fabric to braided embroidery floss with tassels, beads, or even feathers! This is a great place to let your personality shine! The back yoke comes to a soft point at the center for added detailing. This is a great place to play with stripe directionality too. The yoke and shirt are finished with the burrito method for a clean finish inside. 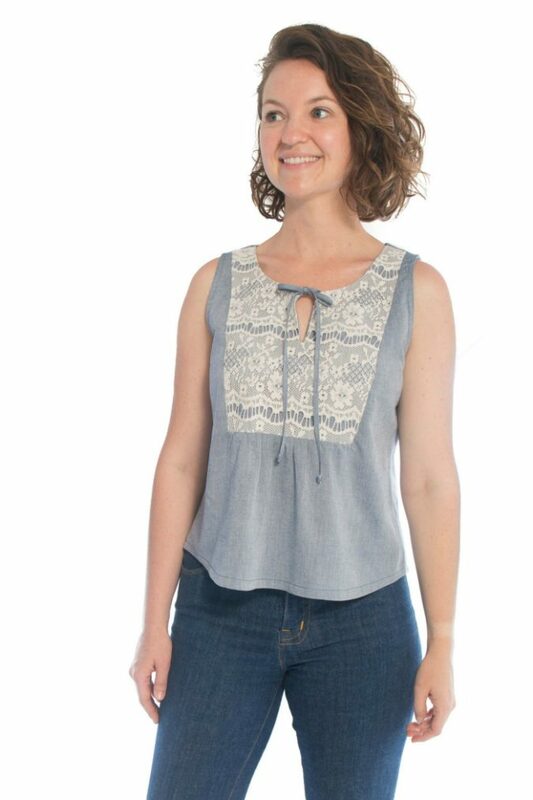 Both views can also be made at a regular shirt length or a cropped length. The cropped length works perfectly with trendy high waisted pants and jeans. 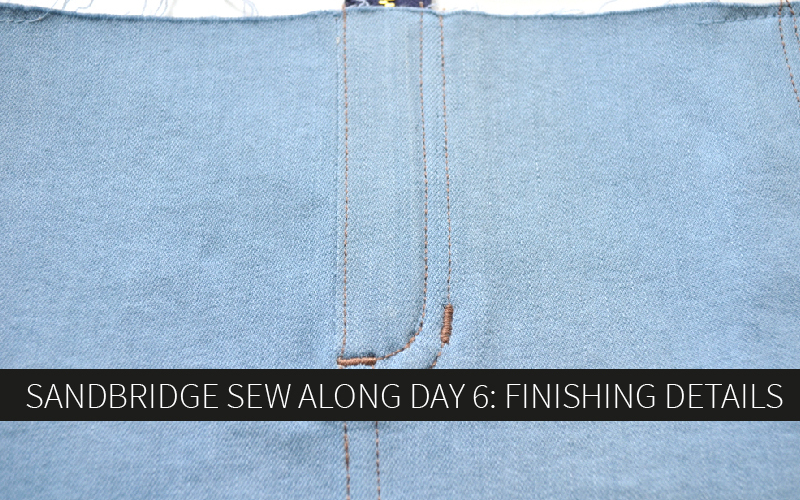 The pattern has instructions for cropping the hem even more for a dramatic look! 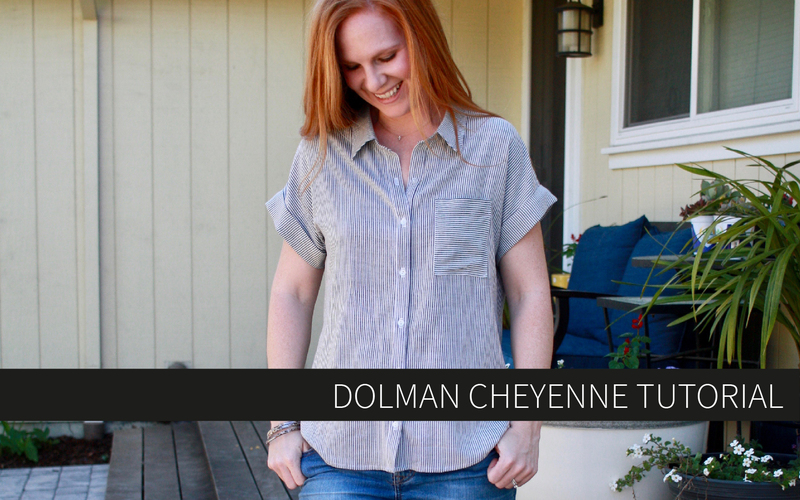 The regular shirt length provides great coverage and is perfect for sporting the half-tuck. 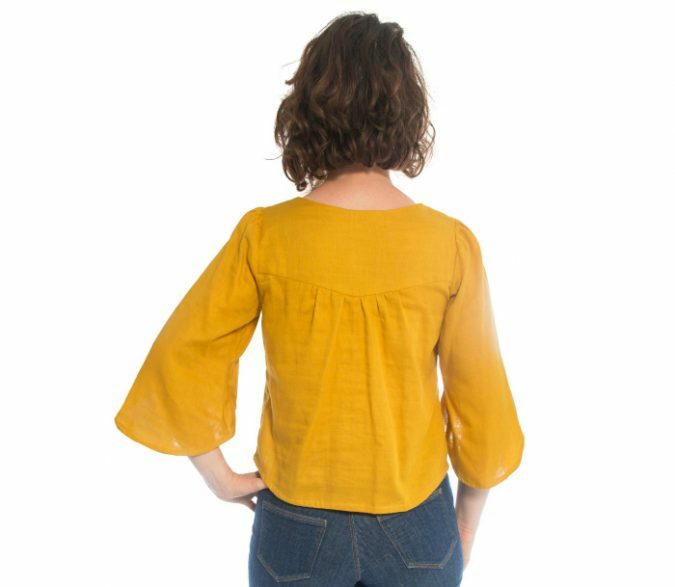 The side seams of both views and sleeve seams on view A are also finished with French seams to keep the inside of the garment looking just as beautiful as the outside. 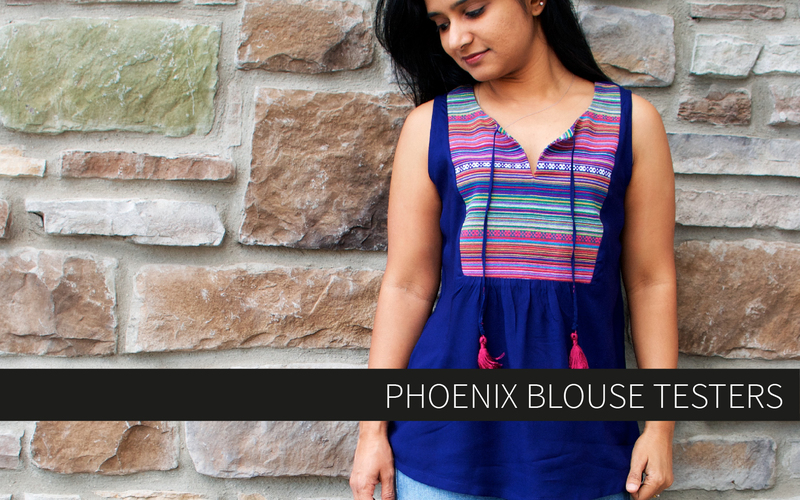 The Phoenix is shaped with princess seaming between the shirt and yoke to provide a great fit over the bust. If you require a full bust adjustment, you can use this tutorial (also linked in the pattern). 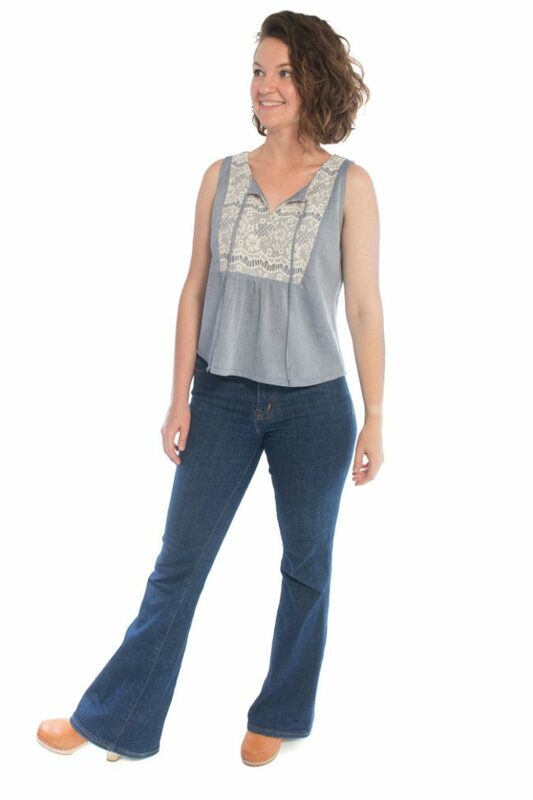 The Phoenix works equally well over high waisted flares, mid rise skinnies, cut off denim shorts, or slim skirts. You can dress this blouse up or down as much as you desire. A soft cotton/linen blend would work beautifully for a beachy vibe, whereas a fancier floral rayon or silk could be dressed up for more formal occasions like work events, nice dinners out, or family pictures. As an added benefit, the Phoenix Blouse and Amalfi Dress sleeves can be used interchangeably! 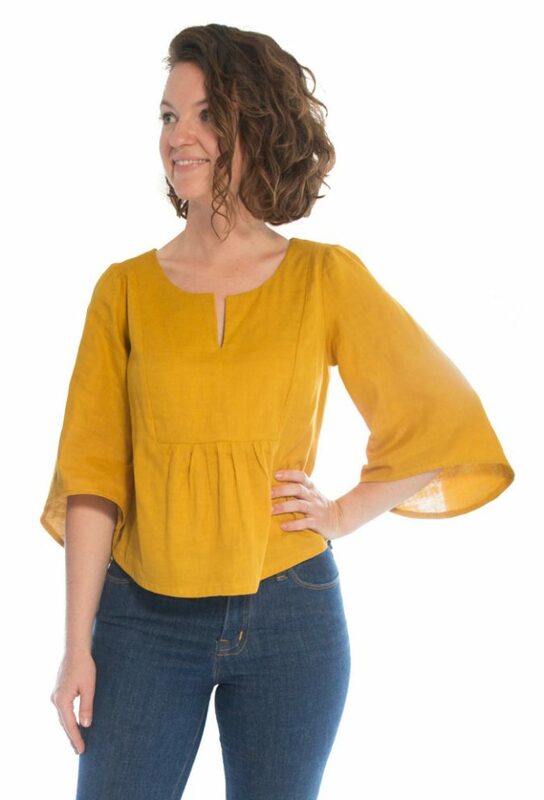 The flutter sleeve from the Amalfi would lend itself well to the Phoenix’s boho vibe and the bell sleeve from the Phoenix would look beautifully dramatic on the Amalfi! 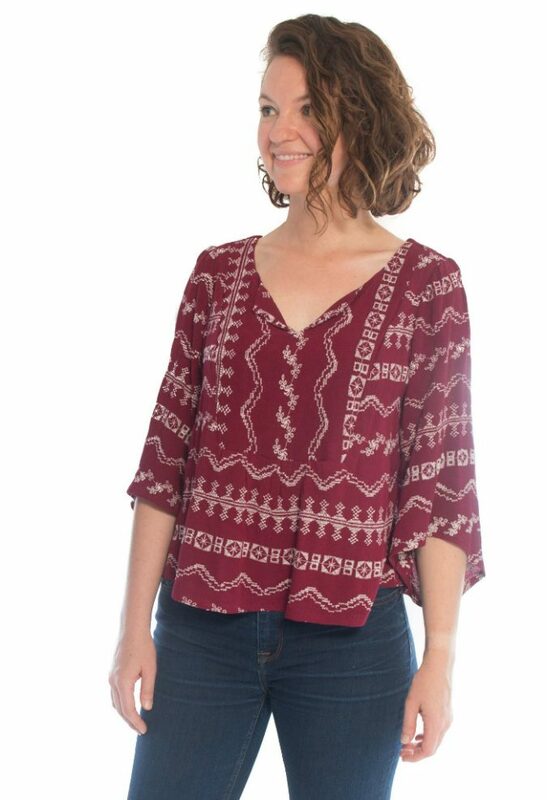 You can find the Phoenix Blouse in the shop today. If you have any questions, feel free to email, comment below, or ask them in the Hey June Facebook group! 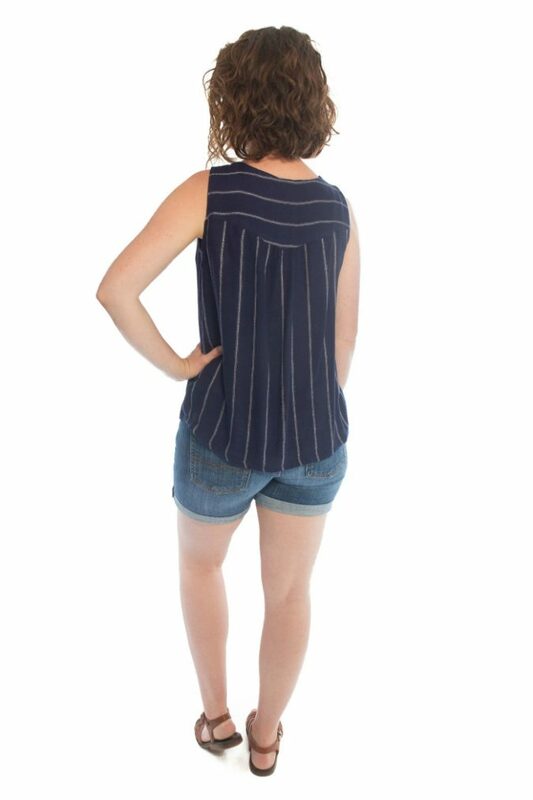 The navy blue stripe and embroidered maroon fabrics are both rayons from the Indiesew shop (navy now discontinued). As you can see, they have a lot more drape than the other two samples and the center slit can appear deeper because of their weight, especially when a tie is used. 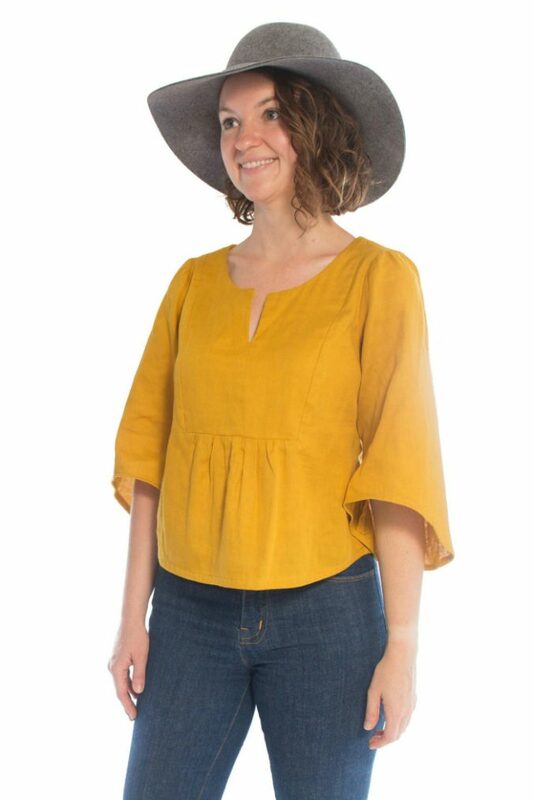 The chambray and mustard are both from the Imagine Gnats shop. The chambray is a rayon but has a stiffer hand than a rayon challis while still maintaining a beautiful drape. A lace fabric overlay was used on the yoke (to do this, you would simply under line the front yoke with the lace fabric before sewing). The double gauze retains its shape with little drape and is great for showing off the style lines, especially for the cropped length. Omg, this is what I made and wore in the 70’s! Love!!! Wow, when I saw the close up of the tie detail in your IG story the other day I was hoping for a cute little boho top – possibly cropped as I really like that look with high waist wide leg pants… all that and more, I didn’t expect such a little marvel😍😍. And I love the yoke insert giving shaping, that is soooo freaking clever! This is absolutely stunning!!! I love absolutely everything about it! Beautiful design! Love how it looks in so many different fabrics! How do I order this pattern? 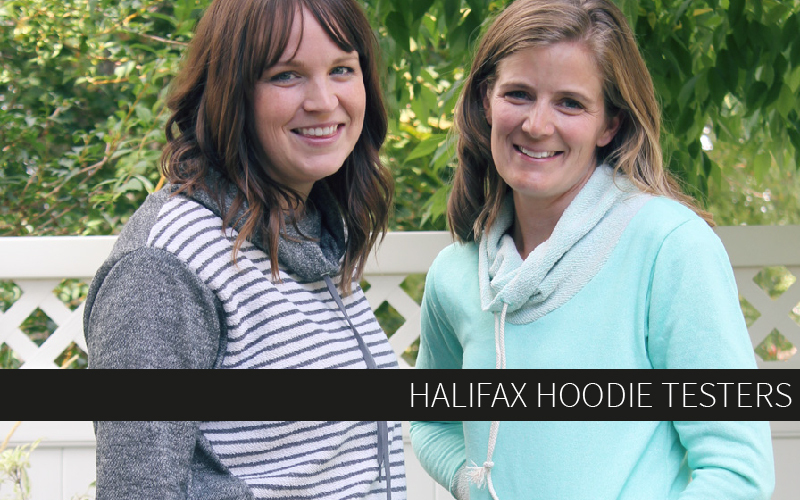 You can click on any of the links to the pattern in this post or just go directly to the shop tab in the website menu. Happy sewing! You can see all body and pattern measurements on the “back cover”, which is shown in the last picture of each listing.